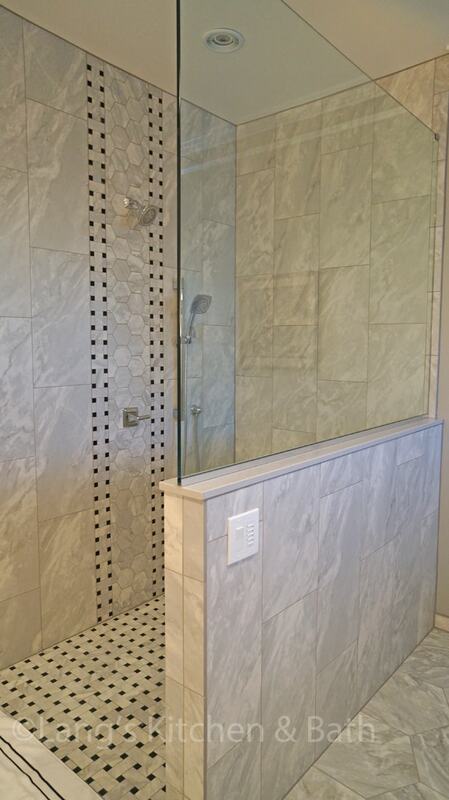 Master bathroom design with open shower. 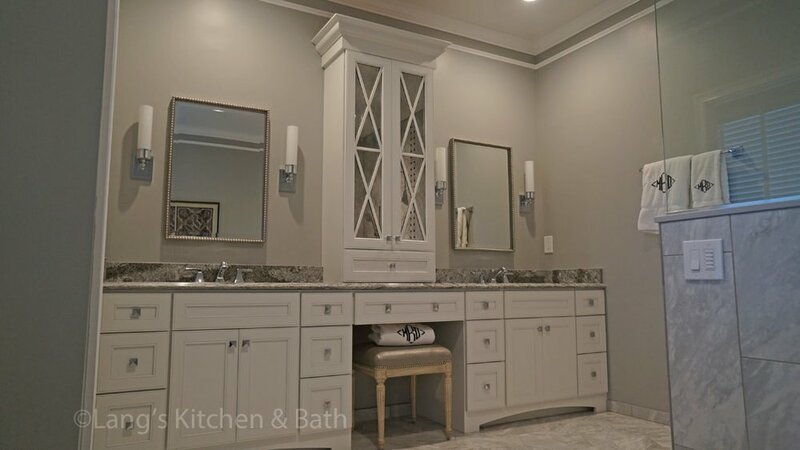 At the center of this bathroom design is the luxurious open shower with a bench seat, shower niche storage, and two showerheads. 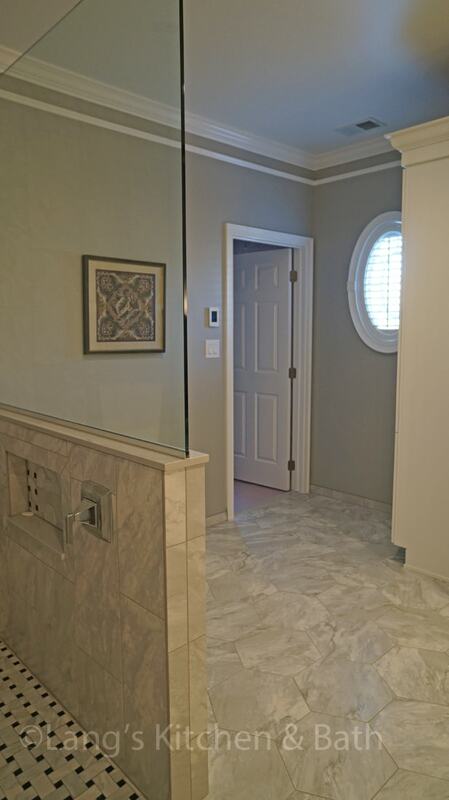 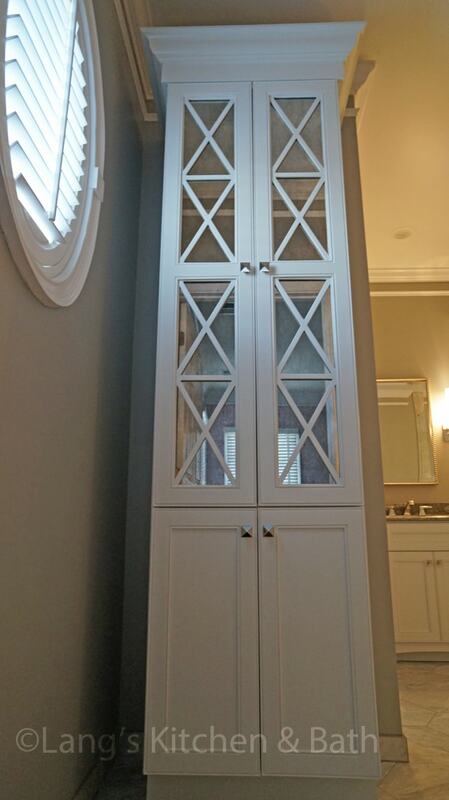 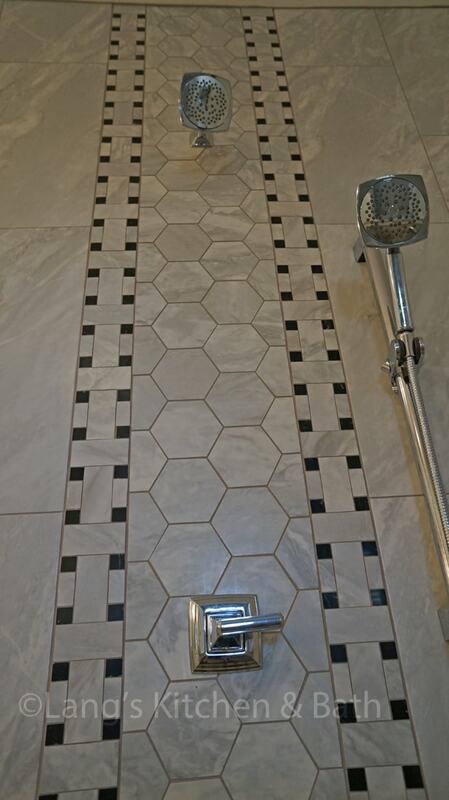 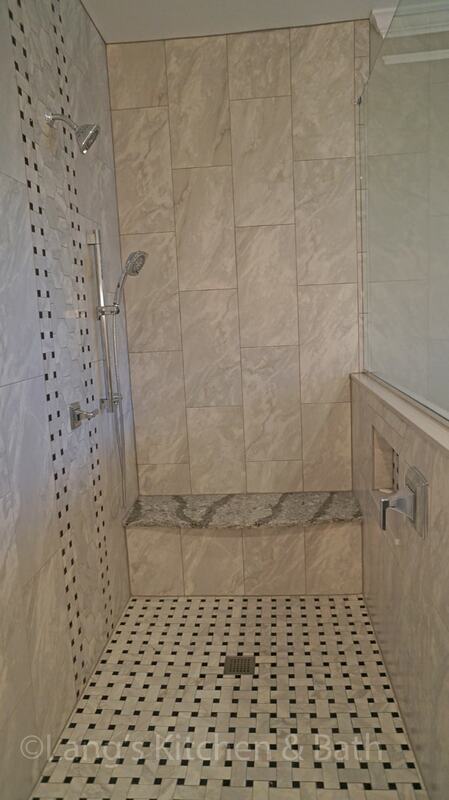 The octagon tile design is seen throughout the room, and is complemented by the basket weave floor tile in the shower. 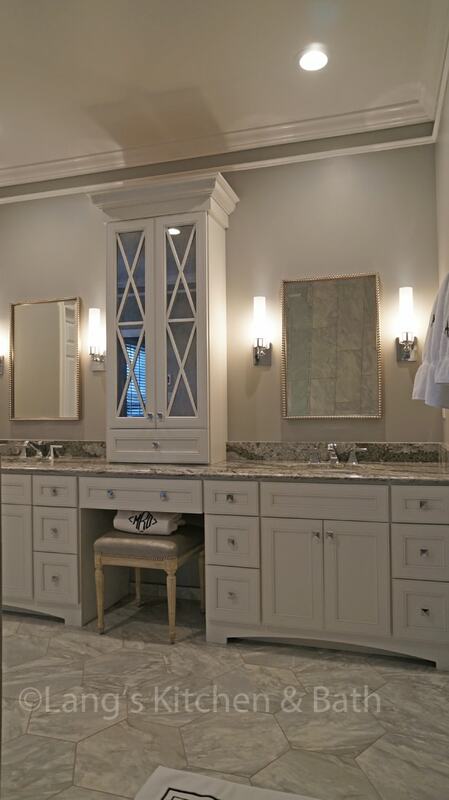 The vanity includes two sinks and a make up seat, and has a matching linen cabinet for extra storage.